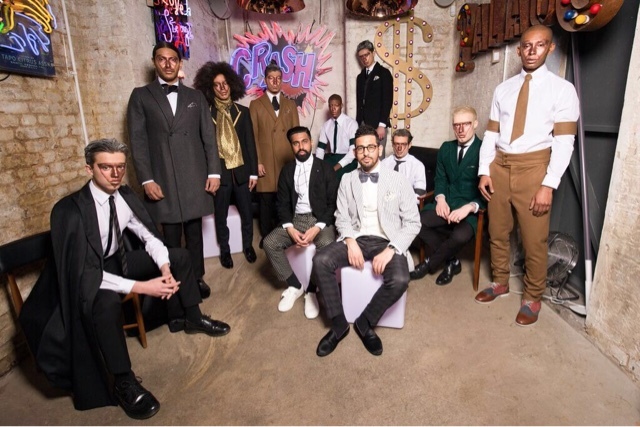 On Saturday, luxury menswear brand showcased their Autumn/ Winter 2016 collection amongst the neon lights of Soho. Crowds of show goers flocked to the 'Lights of Soho' gallery and members lounge, London's new creative hang out which is also home to the work of the late Chris Bracey. Walls plastered with neon sugar skulls, cheeky slogans and other kitsch creations provided the perfect juxtaposition for Velsvoir's latest collection. Nine models were strategically placed around the room on colour changing light boxes allowing the guests to easily view the collection up close and personal. Whilst delicious, Zoolander inspired Ciroc cocktails were being served at the bar, a DJ was spinning a melodic mix of classic R n B and house, matching the warm hazy glow and calm atmosphere created by the neon lights. 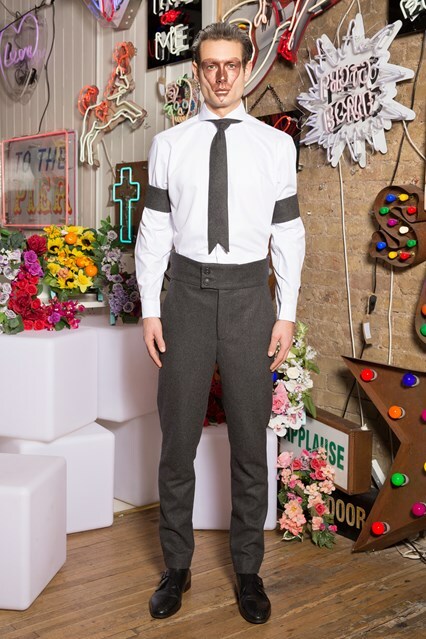 The collection itself was inspired by the modern gentleman and the fleeting moments that make up city life. 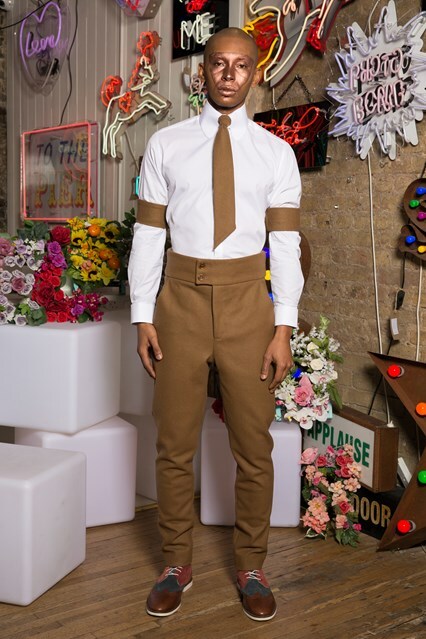 Split tongue, rounded and diagonal were all shapes of ties this season proving that these brothers are shaking up menswear and bringing the life back into dressing. 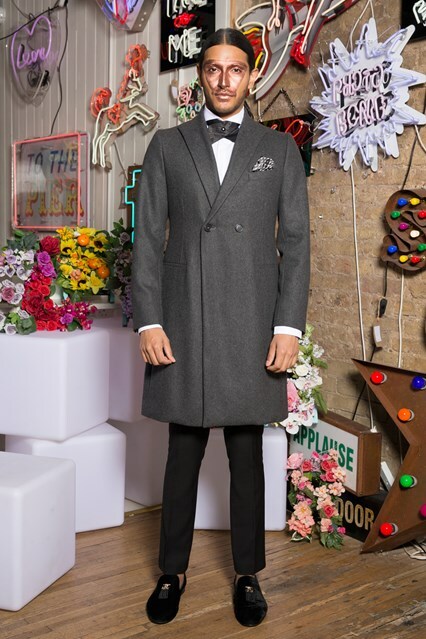 The key pieces this season have to be the range of woollen overcoats in camel, bottle green and grey which really embody the spirit of the London gentleman. 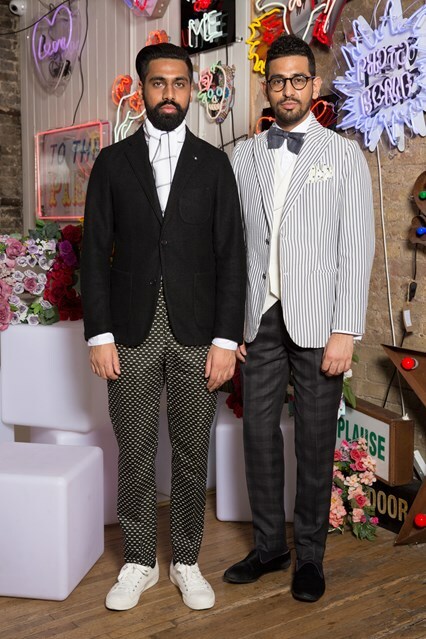 Once again, these boys have produced a stellar collection and Saturday's presentation was the perfect mix of creativity, youthful energy and traditionalism. Long live Velsvoir! To see Velsvoir's previous shows, click here.